Robert Mugabe and his wife are set to retire in luxury after Zimbabwe granted its deposed president a $10 million “golden goodbye” package. The 93-year-old will also receive immunity from prosecution and full military protection despite being ousted by a military takeover. 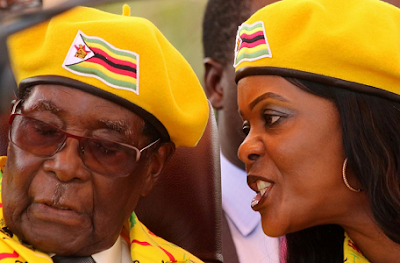 On top of the lump sum, Mugabe will enjoy his full presidential salary of $150,000 until his death, after which time his 52-year-old wife Grace Mugabe will continue to receive half of the salary. Mugabe resigned in on Tuesday, November 21, after 37 years in power. OH AFRICA!